Getting ready for a wedding is a big ball of feelings! You want to make sure that your special day is perfect and you’ve probably had an idea in your head of how you want it to look for quite some time. Don’t sacrifice your vision of a perfect wedding by being worried about buying items that you will only use for one day and then store, or worse, throw away. 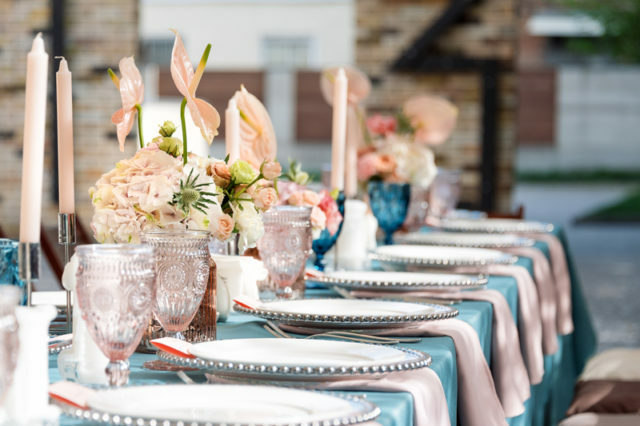 Here are some items that you can use for your wedding reception that can be repurposed into your home for your future. Big beautiful bouquets of flowers and candles are staples of most weddings. Make sure that the style of the vases and candle holders used match with your home’s style as well. For example, metallic urns may look chic in a wedding reception, but do they fit with your home aesthetic? When you have vases that you like, you can use them in your decor at home and give them away as gifts as well. While fresh flowers have an aroma that change the entire mood of the wedding, paper and even plastic flowers can be just as perfect and can be used in crafts and decorations at your home after the ceremony as well. Just know that cheap dollar-store artificial flowers are not going to age as well as more detailed pieces, such as those by Nearly Natural. Pro-tip: Go big and bold with a few flowers and then have several smaller accent type of flowers that will be able to be incorporated in to any design. If you spent money to either make or buy wall decorations for your wedding venue, you can use those in your future home. The theme of your wedding can easily be translated into the theme of a room in your home or into the decoration of the whole home itself. If you made wall art using bailing wire for a rustic feel, put that art in your living room. If you used picture frames as a backdrop for pictures, you can use it as a wall accent in your dining room. The possibilities are endless. While it may be completely fine to rent or borrow dishes and glasses for your wedding reception, why not buy a perfect set for the wedding party to use and then take them home afterwards? Invite your bridesmaids over for a girl’s night and break out the same stemware from your wedding reception! Don’t start your marriage out with a bunch of stuff left over from your wedding that you will never use again. Who needs that burden? Instead, repurpose items from your reception and work them in to your home decor. You’ll save money and have little reminders of your big day around you all the time. 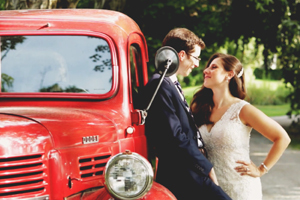 The most important way to preserve the memories from your wedding is with quality wedding photography and videography. Talk to us today about how we can make the perfect photos and video to capture your perfect day.